BelarusDigest > Myths > Have Belarusians Always Used the Cyrillic Alphabet? Have Belarusians Always Used the Cyrillic Alphabet? The Belarusian language now predominantly uses the Cyrillic script. Most texts in Belarusian are written in Cyrillic. Nevertheless, since the Middle Ages, there has been a strong tradition of Latin script usage. Following independence some people revived the historic tradition of writing in the Latin script, both in private and in some publications. Under Western European influence, the Catholic and Greek-Catholic communities preferred the Latin script in their everyday lives and publications up until the 1950s. Major Belarusian language periodicals in the beginning of the 20th century appeared in both scripts. Later, the national awakening activists organized a wide-scale public discussion on the scripts dilemma which by rather a small margin resulted in choosing Cyrillic. 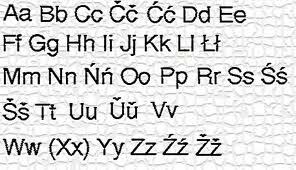 Both the Cyrillic and Latin scripts have been modified to meet the needs of Belarusian phonetics. In particular, Belarusians added to the Cyrillic script і, apostrophe, and ў, and to Latin – č, ž, š, ŭ as well as some other peculiarities. The Belarusian nation also has a tradition of writing its language in the Arabic script, perfectly modified to suit Belarusian sounds by the local Muslim community in medieval times. There were thousands of manuscripts published– so called kitab literature – written in Belarusian with Belarusian-Arabic script up until the early 20th century.